On the 24th, Hereditary Prince Alois received at Vaduz Castle the Macedonian Foreign Minister Nikola Poposki, who was on a working visit to Liechtenstein. 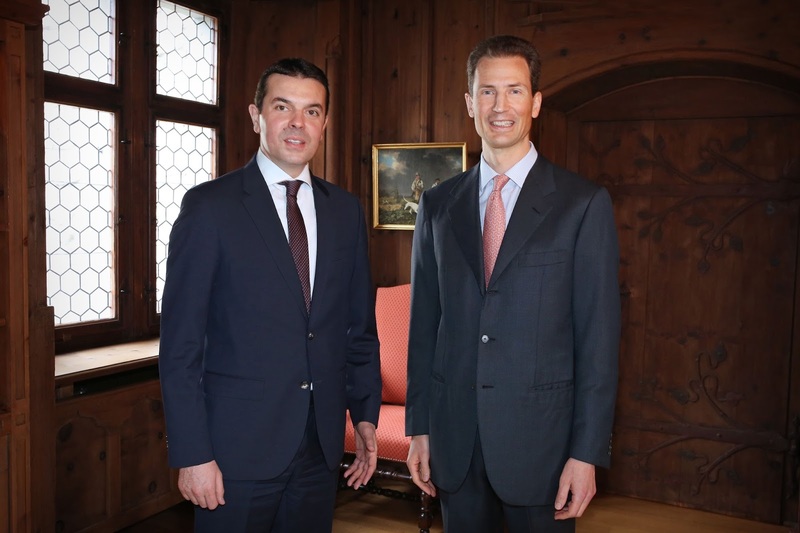 The visit also included bilateral talks with Liechtenstein's Minister of Foreign Affairs Aurelia Frick on the refugee crisis and other developments that affect Balkan nations. Macedonia's Foreign Minister also paid a visit to the National Museum and the Treasury and concluded the trip with a Liechtenstein-Macedonia football match.